Our 7 top tips to increase the value and saleability of your home. When a potential buyer walks through the door, you'll want to make the best impact you can. According to Carol Kinsey Goman, a contributor at Forbes, you have around 7 seconds to make that all important first impression. 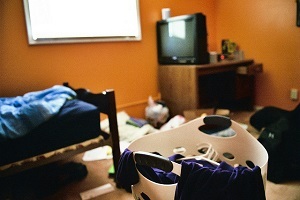 So be sure the house is clean and clutter free, this will make your house look more spacious and inviting. When selling your house you need to attract buyers through the door, and the first thing they're going to see are the pictures of your property. Many homes have family pictures hung and personal items on display. Put these away and make sure the property has a fresh coat of paint (preferably neutral creams or whites!). Building an extension can be expensive and sometimes will actually reduce the value of your house. 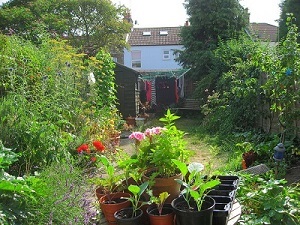 This is because great garden and outdoor spaces can be hard to come by, especially closer to the town centre. Just a simple pruning of the plants, clearing away the leafs or cutting the lawns can make a massive different to area. Refurbishing or restoring a door is easier than you may think, and this goes hand in hand with clearing the garden. A fresh front door is inviting and suggests that the property has been well looked after. 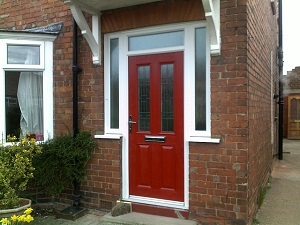 You could buy a new front door, or just refurbish your current one. There are some companies that will charge just £25 for a job like this, or you could search YouTube for a do-it yourself video. 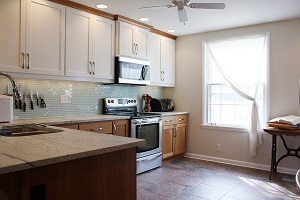 Keep flooring dark and walls light, this will make the floor space appear to expand. Then add some mirrors in those especially dark rooms to reflect the light around and off the different surfaces in the room. By keeping the colours neutral you will help the room feel larger and lighter. Trimming back the garden (as mentioned above) should help the light through your windows. For more tricks and tips about colour and light, check out the BBC Homes website. Make sure your home is warm and cosy, especially before a viewing. If you have a fireplace, then even better. Get that bad boy going! 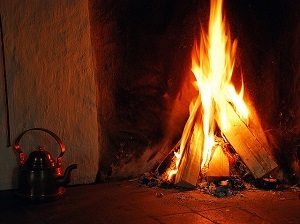 The warmth, smell and sound of a wood fire is something, that I think, everyone is drawn to. It makes you feel safe and welcome, perhaps something from our caveman days? 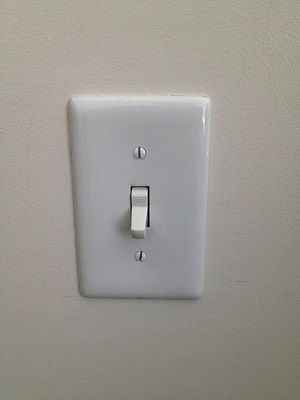 Those once gleaming white light switches might now be a shameful shadow of their former selves. Pop down to Wickes or Homebase and grab yourself some new light switches, or just order some online and get them delivered straight to your house. They're a couple pounds each and could make all the difference just make sure you get a qualified electrician to fit them if you don't know what you're doing. Jimmy Hogoboom, Roosh Inf3ktion, Velodenz, Emma Nagle, Mike Tually, jcbonbon, Arild Storaas, sdobie. Last updated on 14/11/2014 by Jonathan Rolande.